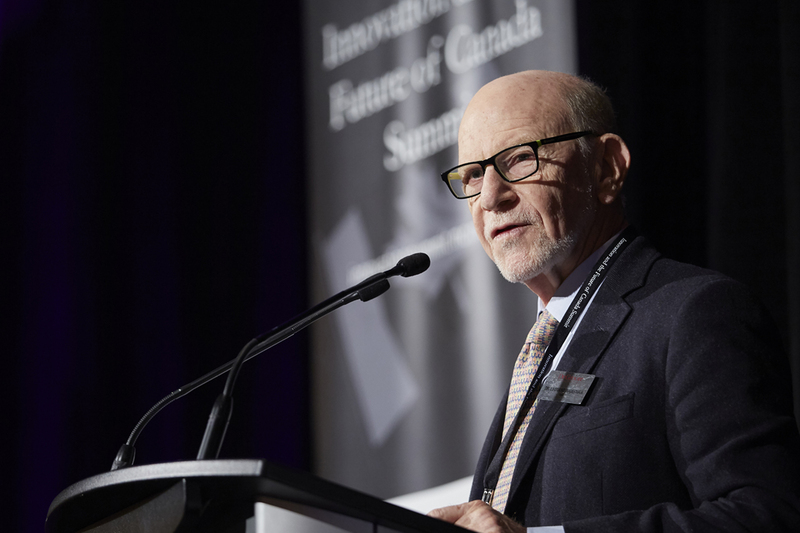 Len Waverman, Dean, DeGroote School of Business, is serving on the jury for the 2018 National Business Book Award. DeGroote is also a supporting partner of this year’s affair. The winner will be revealed Oct. 2 in Toronto. The finalists for the National Business Book Award (NBBA), one of Canada’s most prestigious literary awards, were announced Tuesday by co-sponsors BMO Financial Group and Bennett Jones LLP. The DeGroote School of Business and the Toronto Region Board of Trade are supporting partners of the NBBA, while The Globe and Mail and The Walrus are media partners. Joining longtime presenting partner BMO Financial Group is national business law firm Bennett Jones. The jury is chaired by Peter Mansbridge, former anchor of CBC’s The National, and includes Len Waverman, Dean, DeGroote School of Business. Other jurors include Deirdre McMurdy, David Denison, Senator Pamela Wallin, and author and publisher Anna Porter. The winner of the $30,000 prize will be revealed Oct. 2 during the award ceremony in Toronto. Patricia Meredith and James L. Darroch, Stumbling Giants: Transforming Canada’s Banks for the Information Age, published by Rotman-UTP Publishing. Meredith and Darroch explore the global, competitive, and regulatory challenges facing Canada’s banking sector. In providing historical context for the structure of the industry, the authors question whether it is sustainable in an era of technological disruption and consider the implications – and possible solutions – for Canada and its economy. Jennifer Riel and Roger L. Martin, Creating Great Choices: A Leader’s Guide to Integrative Thinking, published by Harvard Business Review Press. In this practical guide to integrative thinking, Riel and Martin unpack accepted wisdom and ingrained habits when it comes to decision making. Rather than evaluating options and making trade-offs, they urge a creative approach to foster solutions and improve outcomes. Donald J. Savoie, Looking for Bootstraps: Economic Development in the Maritimes, published by Nimbus Publishing. With a distinguished career as one of Canada’s leading political economists and academics and as a life-long resident of New Brunswick, Savoie tackles the topic of eastern Canada’s chronic economic under-performance and the federal and provincial policies that have failed to address it for decades. The author does not shy away from hard truths, but also makes recommendations for a sustainable future. Chris Turner, The Patch: The People, Pipelines, and Politics of the Oil Sands, published by Simon & Schuster. Turner provides a balanced perspective on the often-polarizing national debate about the development of Canada’s oil sands. With two conflicting world views – one of industrial triumph, the other of environmental concerns in the age of climate change – Turner explains the history, science and context surrounding one of the world’s largest engineering projects and its significance for all Canadians. The jury will evaluate nominations based on five key criteria: originality, relevance, excellence of writing, thoroughness of research, and depth of analysis. The NBBA is an annual celebration of Canadian authors of outstanding non-fiction business-related books. It continues to gain attention from not only the Canadian business world, but also publishers, authors, journalists, academics, economists, and business leaders internationally. DeGroote’s own Gordon Pitts, Business Writer in Residence, received the prize in 2009 for his book Stampede! The Rise of the West and Canada’s New Power Elite, published by Key Porter Books.